Should the iPad Mini have color options? Discussion in 'iPad' started by Broph, Oct 10, 2012. Should the iPad Mini come out in a variety of colors? Yes, just like the iPod Touch line. No, stick with the white & black. Haven't found a thread similar, so sorry if it's already been discussed. After seeing this red & white image of the rumored iPad Mini... Pretty much have fallen in love with it.... I really hope they bring it out with a variety of color options, as they did with the iPod Touch. Do you think they should bring it out with a variety of colors? Or should they stick with the Black & White of the iPhone 5? It's not an iPod touch or iPod nano. I don't even need a white one. For the iPod touch I thin to get a RED one; but I love my black iPads. I don't understand why people are against options and consumer choice. I'm personally only interested in black or aluminum, but sure, let there be other colors too. IMO, I think that's why we have skins - so we can change colors ourselves. I think they should stick with the black & white. iPhone 5's scratchgate, meet iPad Mini. iPad Mini, meet scartchgate. I just want a mini. Possibly with retina. Regarding the scratchgate, every apple product since the iPod (the first device that could fit in a pocket, or a bag, or could slide on a table or fall from one's hand) was prone to getting scratched. If you're ok with not being careful, your problem. FORTUNE -- I have to take the fall for passing along the rumor -- apparently false -- that invitations were set to go out on Oct. 10 for an iPad mini unveiling on Oct. 17. I think I'll take a break and go get some lunch. It's a quiet day. BREAKING imaginary iPad mini event invite late, iPad mini DELAYED. Imaginary apology from Tim Cook expected. More at Unicorn o'clock. OK. I deserve that. My source was a major Apple (AAPL) investor who had heard it from three different sources. They were wrong about the timing. I was wrong to pass the tip along. I don't know what I was doing in the rumor business in the first place. Mea culpa. Soooooo... Black? Color? In the wrong thread? 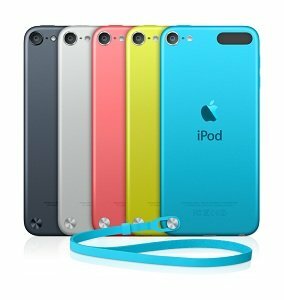 IMHO theres a place for cool colors like the iPod Touch line but when it comes to an elegant and sophisticated piece of technology such as the iPad or iPhone lets keep it "classy". Still it's a matter of opinion and some people like to be different. So I'm all for the colorful line of iPads! as long as they keep the white and black option (which they undoubtedly will) i'll have no complaints! . i just can't for this bad boy to be released so i can grab one! People don't want their gadgets to look like toys. Even if the product they choose isn't colored, the simple fact that models of other colors owned by other people will be seen will make the mass associate said gadgets with toys/cheap/childish, and people who care about their image may fear people's opinion that they own a toy/cheap/childish gadget, even if it's not colored. I'm not saying it's a phenomenon I agree with, but it definitely exists more than people will admit and that's why Apple usually only give color options to their budget devices, or those who target a younger demographic. My girlfriend wants to have the choice to buy an pink iPad mini. This is a pretty pointless poll. Of course. Why not? Just because there're more colours doesn't mean there won't be the one you want. I'm all for choice. People don't want their gadgets to look like toys. Even if the product they choose isn't colored, the simple fact that models of other colors owned by other people will be seen will make the mass associate said gadgets with toys/cheap/childish, and people who care about their image may fear people's opinion that they own a toy/cheap/childish gadget, even if it's not colored. If games like Angry Birds, Fruit Ninja and a bunch of fart apps don't already make people associate said gadgets with toys/cheap/childish, having them in multiple colors won't do any more towards that. Not everyone buys a smartphone/tablet for work/business purposes. Most people (i.e. regular consumers) like the gadgets they own to reflect on their own style. While I personally prefer neutral colors (silver, black, white) there are people who prefer more colorful options - hence the popularity behind colorful cases. Apple is not catering strictly to enterprise, as companies like RIM do. They have to be mindful of the consumers' needs. What happened to the FUN colors?! If they're going to offer the same crappy colors of the new Nanos & Touches, screw that!